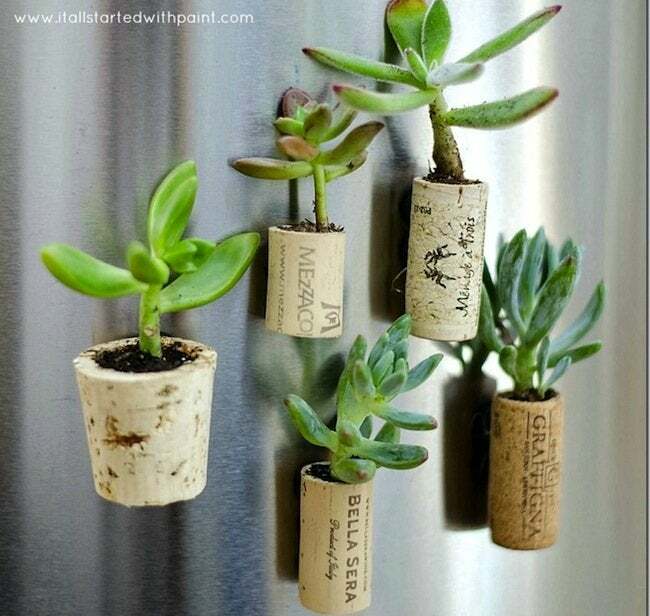 When life gives you wine corks, make really, really tiny planters. Well, that's not the saying but it's certainly a fun idea. By her own admission, Linda from It All Started With Paint isn’t what you’d call a green thumb. But tiny low-maintenance succulents were calling her name and that’s where the idea for these unlikely thumb-sized planters came from. 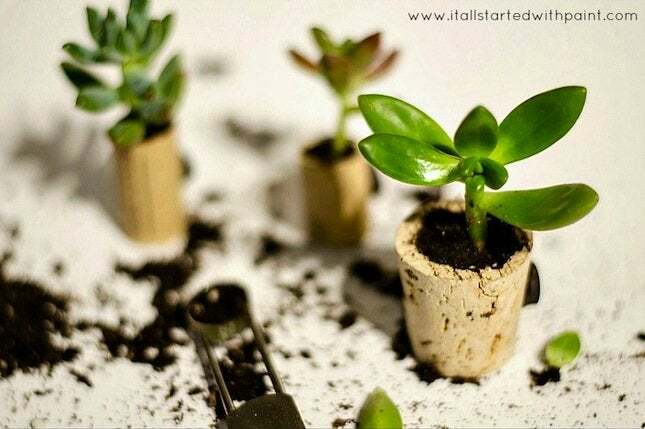 Read on to learn how to create your own easy-to-make planters! 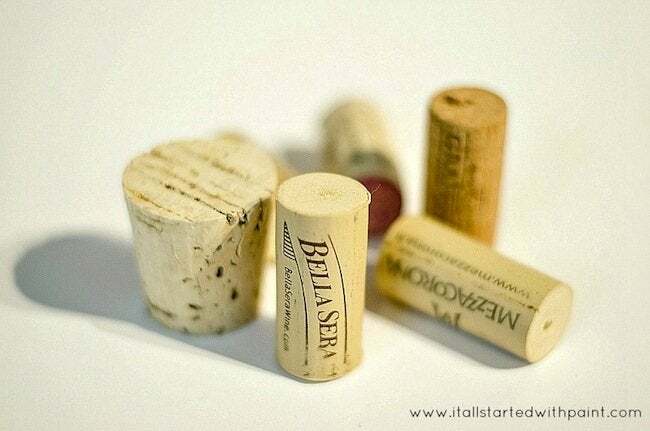 Drink some wine and save the corks. Gather your supplies. 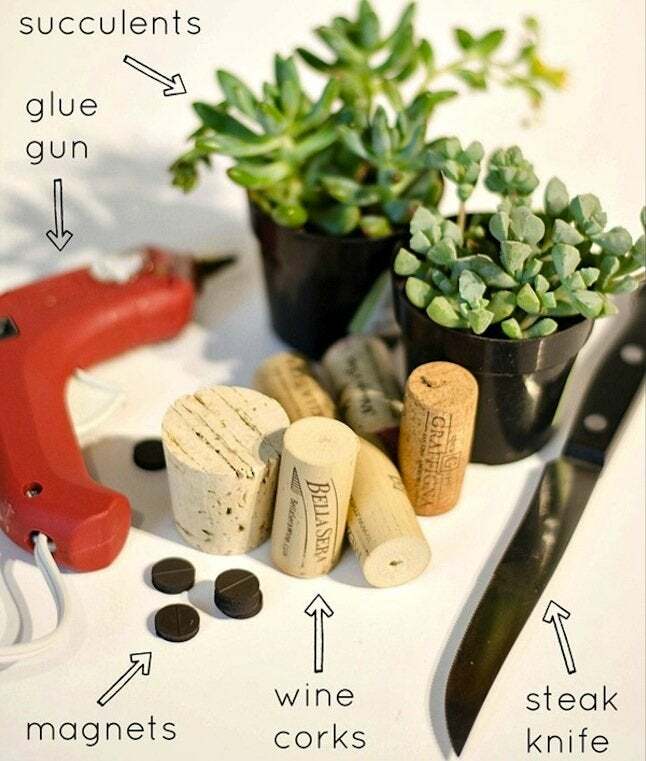 You’ll need wine corks, a glue gun, magnets, a steak knife, and plants. I used hardy—and hard to kill—succulents since I’ve got a bit of a plant-killing reputation. 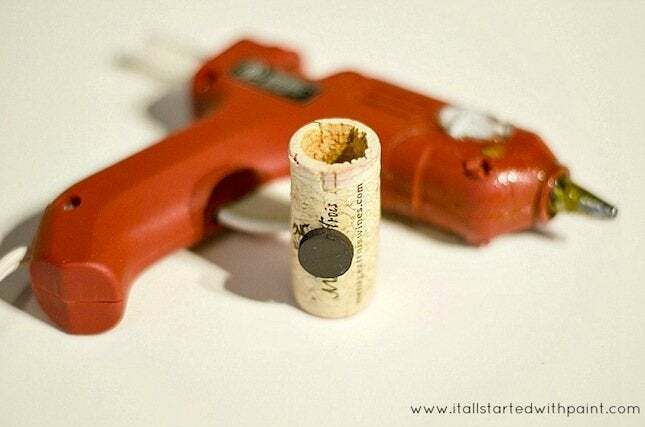 Using a steak knife, core out centers of the corks. 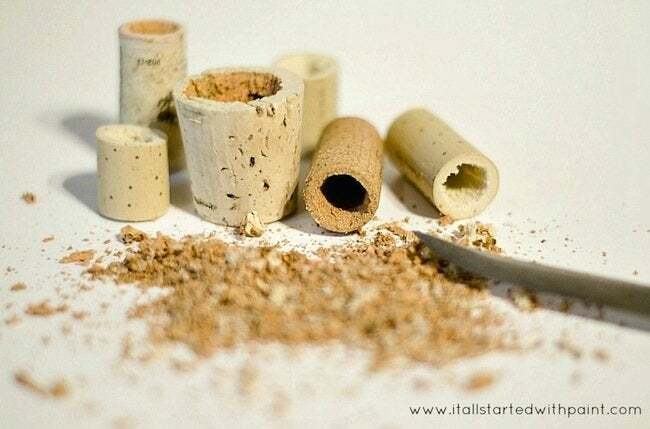 Start by putting tip in center of cork and turning knife in a circular motion. Just make sure you don’t go all the way through; stop about ¾ of the way down. Use glue gun to affix magnets. 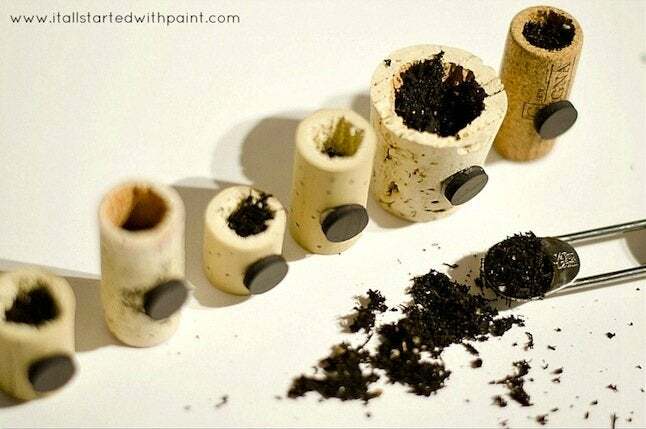 Note: Once plants are planted, the cork will be much heavier. Depending on the strength of your magnet, you made need to affix more than one to handle the added weight. Add plants. Use a ¼ teaspoon measure spoon to add dirt and pack down. Drizzle with water. Simple as that! Thanks, Linda. For more DIY ideas or to visit her Etsy shop, visit It All Started With Paint.